‘How The Grinch Stole Christmas’ is a wonderful Christmas cartoon. The Christmas of a little town called the Whoville is threatened by a green character called the Grinch, who disapproves of Christmas, and particularly the noise involved. He decides to ‘steal’ Christmas from the little creatures, but then he discovers that Christmas is not restricted to objects. This special, lasting 26 minutes, is one of Chuck Jones’s productions for MGM television. It’s a very faithful and beautiful reading of the classic Dr. Seuss children’s book, keeping Dr. Seuss’s rhymes and faithfully reproducing its designs, but extending those by long and beautiful silent comedy scenes and Jones’s wonderful facial expressions, to even better results. Especially the Grinch himself is a wonderfully expressive character. In him Jones’ mastery of facial expression reaches its apex. 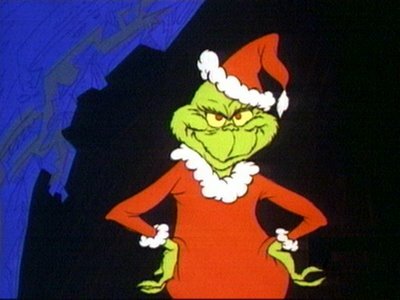 Particularly amazing is the scene in which the Grinch thinks up his evil plan, making his face curl with wickedness. The story is told by Boris Karloff’s grim voice, and it contains two songs: a rather annoying Christmas song sung by the Whos and an odd song describing the meanness of the Grinch. While we hear this song, we see the Grinch steal every Christmas item in Whoville. All in all, it’s a classic. It’s arguably the best Dr. Seuss adaptation ever, and certainly one of the best Christmas cartoons ever made. It’s certainly better than the rather annoying live action remake from 2000.